Try to upload an image larger that 400kb in size, Facebook images rarely work. Superb service. First photo wasn't good enough quality so was immediately contacted and informed. Ordered them yesterday and they arrived 11am this morning. Absolutely brilliant, can't fault it. What a great service! Ordered on Tuesday night and had them by Thursday morning. Brilliant product, they made the surprise birthday party! Thanks again. Absolutely fantastic!! Ordered these the day before I needed them and they came no problems looks great! Very happy with them!! I would just like to say thank you so much for my masks I ordered from your site. The quality of the photo was so good it brought a tear to my eye. I ordered these for my gran who turned 80 and her son immigrated to Australia and she has not seen him in over 5 years. She was over the moon when she seen the mask and this really made her night. Delivery was fast and the masks arrived on time that I stated. I cannot recommend this company enough. Thank you! You have made a family very happy on their special Lady's 80th birthday. Excellent service and quality thank you. Absolutely brilliant arrived the next day and are perfect . Couldn't be happier thanks. I ordered the masks of my hens husband to be. They were fab and great quality! Would definitely use FunkyBunky again. Thanks guys! Just want to say a huge thank you! The masks are absolutely perfect and know this will go down a treat! Will definitely recommend your work even if I am up in Leeds! Spot on, thanks once again. 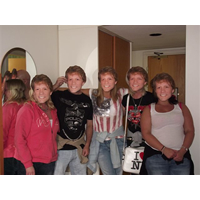 I ordered some personalised face masks. They were of great quality, and arrived very quickly too. A great addition to a party or special occasion. I would use this company again for something similar, and recommend it to others! 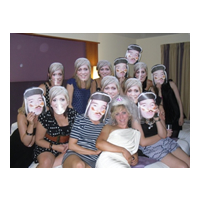 I ordered some personalised masks on Tuesday 14th March for my friends hen night & was worried they wouldnt come on time. They came on Thursday morning 16th March & they were fantastic! Good quality, free delivery & i'm so pleased with them. Will definately recommend to others & use them again!! WE ordered masks from California and they arrive in a timely manner (Ordered January 11th and they came before February). We were having a Downton Abbey dinner party and the masks were wonderful, not expensive, and really set the tone for the party. Imagine guests being greeting at our door, with our masks on! (There were 7 of us cooking!). They were nice quality and easy to assemble. 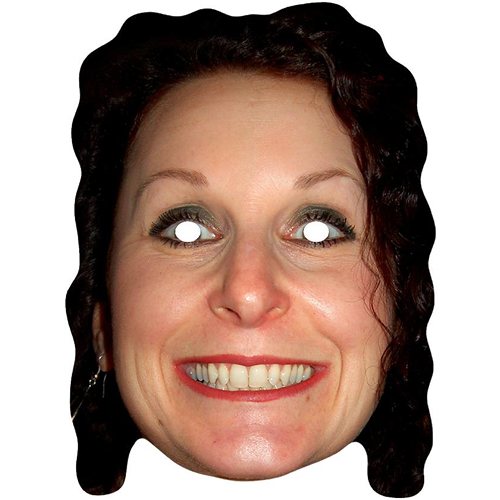 Personalised masks received in good time, excellent quality and went down a storm at our party. Recommend. I couldn't believe how quickly the masks arrived. Moreover, they made my husband's 30th surprise party such great fun- everybody thought they were hilarious! Great quality masks and great service with clear, prompt communication. Free next day delivery a real bonus too. Would highly recommend. Fantastic service, amazing quality, all had a great time wearing the masks and even our video of us wearing them ended up on Channel 5's Sunday Brunch programme. Massive thanks Anthony for your messages to get the best pictures to ensuring the arrived on time. Recommend again and again. 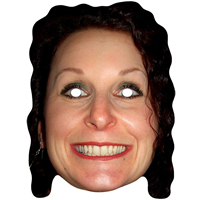 Absolutely over the moon with my personalised mask for my sister's birthday lunch this weekend. She has no idea she will be faced with 11 people with her face!! The quality is excellent and I ordered yesterday afternoon and they were delivered before noon today! Incredible. Anthony was also extremely helpful and efficient. I highly recommend this company and will definitely use them again!! The masks are fantastic and arrived SO quickly! 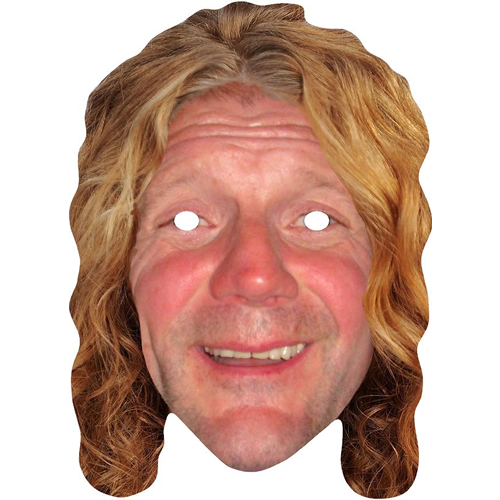 Ordered masks of the groom for my sister's hen weekend and she will absolutely love them! Thanks so much for all your help. I ordered my face masks on the Wednesday and they was with me on the Friday I was impressed of the quality of the masks and how life like they was, also I was very impressed with the speedy turn around , I ordered my masks for my boyfriends birthday and them found out a few other friends wanted to join us in his birthday celebrations , so I placed another order on the following Monday and they was despatched the same day, to say I was very impressed was an understatement , have already been spreading the word about the amazing service that you get when shopping with yourselves. Very happy with the personalised mask i received in the post from Funky Bunky. The service was responsive and helpful. I chose recorded post and was sent within 2 working days. Quality of the mask was fantastic. Would definitely use again. Anthony was extremely helpful and patient as many of my photos were unsuitable however he still managed to turn them around in time for my deadline. My friend's reaction to seeing 10 of her friends with her fiance's face was priceless! I'd definitely use funkybunky again. Great service and super quick! Really pleased! First class advice prior to producing the masks. Fantastic quick service. Great quality & value. I'll certainly be using your services again :-) Definitely Five Star Customer Service. Excellent customer care. Quick delivery. Masks brilliant. Wish more companies operated in such an efficient manner. These guys were amazing. We were desperate,in a bind and they really helped us out by accepting our very last minute order. So last minute we had to collect them, which was handy as they were quite local. 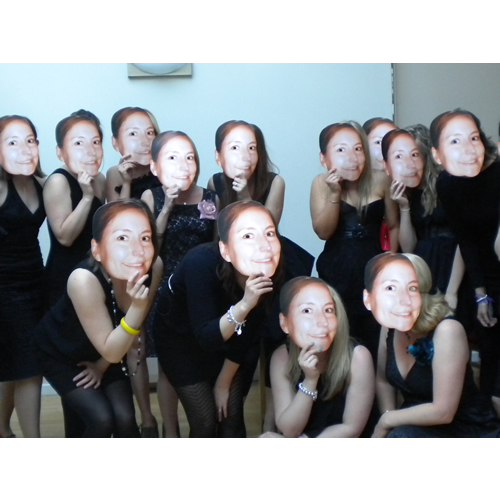 The masks were brilliant, really good quality and everyone on the hen loved them especially the bride to be. They were also the best value for money and would recommend them to everyone. I will defiantly be using them again. Wow what great service ..the masks were excellent . Next day delivery . .will definitely be using funky bunky again and will tell all my friends . brilliant masks excellent quality very pleased with them . If I could give 6 stars I would. Fantastic service, went above and beyond when it came to some challenges with the image quality. Speedy delivery. 100% recommend. Thanks Anthony for all of your help, you are a superstar! 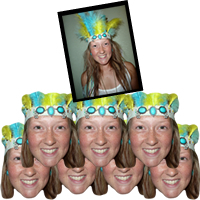 Very helpful - I sent several photos to Funky Bunky asking, will this be good enough?, and several times was told no. Eventually I got a good enough photo - very good masks. Order Tuesday, I received them Friday, great service. Thank you. Fab! Ordered and delivered within two days! Excellent quality, and super fast delivery! Can't thank you enough, my best friend (bride to be) will absolutely love it! I just wanted to thank you for the fantastically speedy service and the excellent quality of the masks. I was surprised to receive them so quickly! Thanks again. Absolutely brilliant! Super quick turn around. Fab quality. Great communication. Absolutely perfect! Thank you. What a fantastic high quality and very quick service. 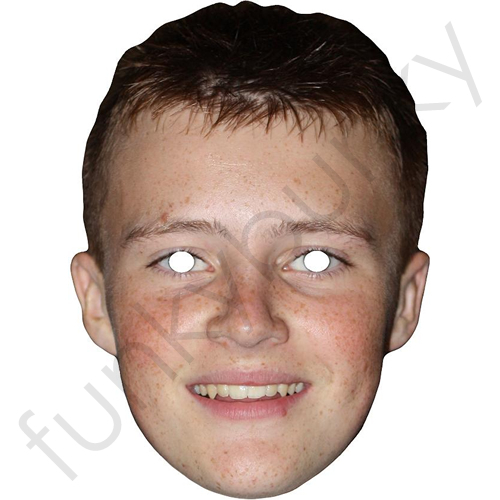 I ordered some personalised masks for my son's 21st Birthday (left it a bit to the last minute). Anthony was so helpful, the masks arrived as promised and were of excellent quality and the image was fantastic. These absolutely made the night a brilliant success, everyone wearing and dancing in them and keeping. So much fun and laughter. Thank you so so much, I will and am recommending to everyone I talk to. Absolutely brilliant!!!! Great quality! Quick delivery & would 100% recommend! So much fun as well for group fun! Fantastic service!! Needed the masks fast and I ordered on line by 1:30pm and the masks were received at my home the following day 1st class post. Slick, no fuss, just what I needed!! Brilliant!! Brilliant product and amazing service, will be ordering again without doubt. Anthony is the consummate professional. I ordered 12 masks at 11am on a Friday, and within ten minutes had a response advising that my photo was not of sufficient quality; and asking whether I would like to upload a new one. Having finally submitted a photo of decent quality, it was pointed out to me that I had selected the wrong delivery option (I had selected next day rather than Saturday delivery) but Anthony kindly offered to drive the completed masks round to my house on the Saturday. He delivered them personally and I could not have got them from anywhere else in that time frame. The masks themselves were of a high quality but the service was absolutely outstanding. Could not recommend FunkyBunky more highly. Masks were spot on, delivered next day and good quality would definitely you them again. Brilliant product, brilliant service! Would highly recommend. Was a little sceptical as the turn around time seemed too good to be true but the masks I ordered arrived when requested. Helpful emails keep you updated with your order so from start to finish you're kept up to date. I'll definitely be using this service again!! Brilliant, efficient service with no hassle! Good quality masks too many thanks! They will be on sky sports 1 on sunday from 4pm! Ordered 12 personalised face masks on the 22nd April at 1pm, almost immediate email back from customer services advising the photo submitted was not at a high enough resolution, submitted new photo and order arrived first thing this morning! What a service, use this company! Hi, Received my masks today. Really impressed with your service as I only ordered them yesterday. Thanks very much. I placed an order for personalised masks with another company and at the last minute they told me they couldn't do them!!! Gutted, i searched for another company and after seeing you did next day delivery i was so relieved! Thanks to funkybunky the masks arrived in time and they were better than expected. The image i emailed over wasn't the best but the masks still came out really well. My friend thought they were hilarious. Thanks for saving the day!! Amazing service, amazing delivery, brill quality masks!! Very professional to deal with, good quality masks received. Will use again. Good Afternoon, Just wanted to thank you for our order. Painless and efficient service and quick delivery. It was our staff party and the masks were of our 5 Directors â� but they hey didnâ�t know anything about it until we all put them on !! It was really funny and a bit scary! Thanks again! haha, masks are fantastic thank you very much. Cannot stop laughing at them. I can not say enough great things about this company! I ordered personalised masks for a hen weekend and they turned out so well! Even more impressive was I sent the request last minute and was able to get them made and sent same day so I had them before I left. The customer service was great and they responded to all of my panicked emails quickly and professionally. 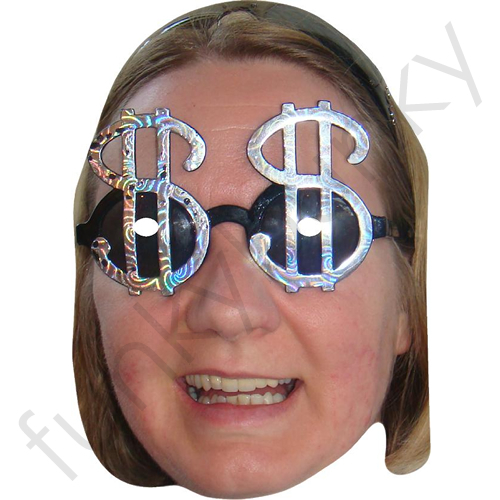 If you are thinking about ordering masks for an upcoming occasion - do it!! Hi Anthony - I just wanted to send you a quick message to say that I already got the masks and they're amazing! Exactly what I was looking for. I'm headed back home to Texas in October for my friend's Bachelorette Party that I'm planning and I know for certain the groom-face masks are going to knock everyone off their socks & really surprise the bride. Thank you, again, for your help! An excellent service! Hi Anthony A big thank you for your patience, great service and help with the masks for my sisters hen night. They arrived yesterday, many thanks. Looking forward to her reaction tonight! I love my masks , they are great and the personal service I received was excellent . 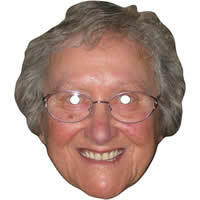 I would recommend funkybunky masks to other customers . 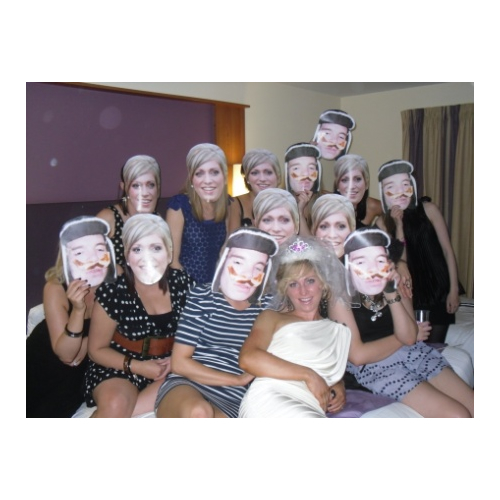 Can't wait to go on the hen do and surprise our hen with her personalised face masks ! The personalised masks are amazing! Great quality and super fast service! Great service, I would definitely use again! Thank you very for the mask they were brillant.. The hen loved them! Hi Anthony, I picked up the masks from the post office this morning. I just wanted to say that I'm really pleased with them. You have done a great job. Thanks very much.